What are the Best Ways to Maintain Teeth Whitening Results? When you get teeth whitening services from your dentist, you need to take some steps to make sure you protect them from new stains. 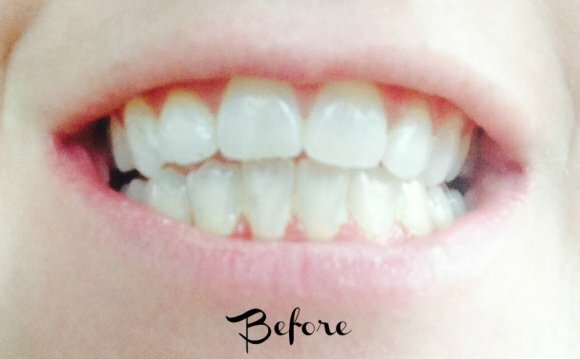 It doesn’t matter whether your dentist uses laser teeth whitening or chemical whitening techniques, you can undo their efforts quickly if you don’t change some of your lifestyle habits. If you want your teeth to look as healthy as possible, follow these eight tips. They should protect your teeth from further stains that will undermine your dentist’s work. Even dried fruit, almonds, and pickles can damage your teeth. In other words, you should limit some of your favorite foods and beverages. Isn’t that always the case? A handful of foods can actually protect your teeth by cleaning them and encouraging your mouth to produce more saliva. Celery and apples are two of the best foods you can eat for healthier, whiter teeth. The chewing action helps scrape tartar off your teeth while excess saliva washes away debris. Plus, saliva can neutralize acids that break down enamel and leave your teeth more susceptible to stains. Although some culprits will stain your teeth quickly, nearly any food can harm your teeth whitening results over time. Brushing your teeth after every meal will help reduce the negative impact on your pearly whites. Use short back-and-forth motions to brush the outside, inside, and chewing surface of every tooth. Use soft strokes so you don’t damage your enamel or gums. Use a 45-degree angle when brushing the gumline. Brush for about 120 seconds to make sure you clean all of your teeth evenly. Most dentists recommend brushing at least twice a day. That’s good advice for most people, but you may need to brush more often if you’re trying to maintain your teeth whitening results — especially if you snack on foods that could stain your teeth. It’s a good idea to keep a toothbrush kit at work so you can clean your mouth after lunch. There are times, though, when it’s impossible to brush your teeth after a meal or snack. On those occasions, you should swish thoroughly with lukewarm water. This will wash away some of the food debris and colorings that get left in your teeth. It’s not the best solution, but it’s better than nothing. Using a straw to drink coffee, tea, and wine may not sound very pleasant, but it will help your teeth avoid stains. When you use a straw, you get to enjoy your favorite beverages without letting them touch your teeth. For the best results, make sure you position the straw’s end at least halfway into your mouth. That way, the drinks are less likely to touch your teeth. You should also use a straw to drink artificially colored sodas and sports drinks. Most people have an easy time remembering to do this since it’s a common activity. Even though you may feel weird drinking other beverages with a straw, the benefits outweigh your social discomfort. Your dentist doesn’t even need to ask if you smoke. One look at your teeth answers that question. In many cases, it only takes a few months of smoking for nicotine and tar to stain your teeth yellow. After several years of heavy smoking, your teeth can even turn a brownish color. Of course, there are more serious concerns than stained teeth. Smoking also increases your risk of gum infections, gum disease, plaque, and oral cancer. Ideally, you should visit your dentist for a cleaning at least twice a year. If you’ve recently received teeth whitening services, your dentist may even recommend quarterly visits. This gives him or her a chance to perform touch-ups that will keep your teeth looking their best. If you don’t already have dental insurance, you should explore your coverage options to make visits more affordable. You’ll spend a lot less money when you have insurance than when you pay out of pocket. You can also perform some teeth whitening maintenance at home by using whitening toothpaste, whitening gels, and touch-up pens. Some products work better than others, so ask your dentist for recommendations. Also, don’t think that doing some touch-up work at home means you can put off your dental appointments. You should still follow your dentist’s recommended schedule to keep your teeth looking great while improving your oral health. People get stained teeth for a variety of reasons, so you should talk to your dentist about why your teeth need whitening and what you can do to prevent future stains. He or she will likely suggest something on this list. Since the advice pertains specifically to you, though, it should carry a lot of weight. Your dentist may see that your stains are caused by berries instead of coffee. Knowing what you should avoid will help keep your teeth looking their best between visits. Living with stained teeth can change the way people perceive you. It could also contribute to low self-esteem, which in turn can prevent you from succeeding in life. Today’s teeth whitening procedures are safe and simple. They rarely take more than half an hour to an hour to complete. Once you get professional teeth whitening services, though, you have to take responsibility to make sure they stay healthy and attractive. As long as you follow these eight pieces of advice and listen to your dentist’s recommendations, you should find that you can keep your teeth looking their best between professional services.